"I would highly recommend Trish and Stylish Staging to anyone!!! She has staged new construction homes for me as well as homes of my clients. Trish never ceases to amaze us! If more sellers realized how important good staging is for their homes they would be calling Trish. The homes she stages for us sell more quickly and for a better price." "Our home had been on the market for over a year when we called in Trish and her very professional staff to stage our home. As our home was unoccupied at the time, we relied on Trish's sense of style and great attention to detail. She was always professional and worked well with my property manager. They had the house staged quickly and completely, working well into the night. We received 2 offers within a month. When the buyers wished to move in quickly, the crew of Stylish Staging came in and "de-staged" on short notice and were done in less than 2 days. You can trust your home completely to Stylish Staging. Thank you, Trish." - Christine R.
"Stylish Staging's engaged in an extensive remodel of our house, prior to its being put on the market for a second time. The company also staged the house. Trish is an exceptionally hard-working professional. During the course of the remodel, she was constantly at the house. The work was fairly-priced, well-done and completed in a timely manner. The staging was obviously effective, as there was an offer on the house approximately two weeks after it was re-listed. "Trish was SO extremely helpful and has an eye on how to easily make things beautiful!! Our house sold within just a few weeks of completing her recommendations and everyone commented on how beautiful the house looked once we were done! I got home tonight from my dinner in Kansas City and was just blown away by the work you did on the house. WOW! It looks amazing! The rooms look big, inviting, and warm. I especially love what you did with the basement. This is a hard space and you did excellent work making the space useful and productive. Thank you so much. I really think this will make a difference for us in showing our home. It makes me not want to leave it but hopefully another family will appreciate it as much as we have. I will definitely recommend you to any friends I have who may be moving and needing your assistance. I am a believer! 🙂 Thanks again. Excellent work!!" - Lori R.
"Thank you ladies for doing such a wonderful job on the house on Scioto Dr. I was very thrilled at the changes and the way you made the rooms look so updated! I brought my office through the home on home tour the following week and the eoohs and aaws were very affirming that you chose the right thing to do for this home!! I think the colors, the patterns and the little pieces you chose to accent the rooms were flawless and I am very excited to have the open houses this weekend and see the impression these changes make on potential buyers. The work was magnificent and the transformation int he basement which I felt like was a trouble area was great! I have referred clients to you before your magic touch and will continue to do so in the future! Can't wait for this house to get an offer and I think a large part of that will come from the staging you guys did for these sellers." - Crystal S.
"As a former marketing director for an architecture firm, I fully understand the importance of presentation and first impressions. When it came to selling our home and we had been on the market for almost three months without a lot of action, I knew we needed to step up our efforts. We had a great house, but since it was completely empty with no furniture, the high ceilings made it sounded very hollow. It looked without character and felt cold and uninviting. It needed some love and tender touches. I decided to contact a professional for marketing help - enter Stylish Staging! Trish met with me at our home and offered great solutions to previously identified issues, as well as suggestions for additional areas to improve the look and feel of our home. We signed a contract that same day, she and her crew worked their magic in just a few short days and we were off and running. As a first time buyer of home staging services, one of my concerns when contracting was that the furniture and furnishings would be quality, current and present well to potential buyers. I was pleasantly surprised with all the materials used, beautifully appointed and quality items. The following week's open houses brought great comments, basically no negative reports back from the agents and we had a contract within weeks. We were lucky enough to have a cash offer and a closing date with only four days notice. I notified Trish of our great news on a Sunday morning and she worked hard to adjust her schedule to get all the staging removed and house back to empty in record time. I could not be happier with Stylish Staging and would recommend them without question for your staging needs." Deb R.
"Stylish Staging is my secret weapon! Through Trish and Jeannie's skills, I have had sellers transform their homes and do things that I would never have gotten them to do. As a listing agent, we are asked the delicate question, 'What do you think I need to do to my home for it to sell?' Sometimes that questions is best left to a professional stager. With Beth Trish's ability to relate with the seller, as well as their professional designations, they hold great credibility in the eyes of the client. My sellers love them! The paint consultations that Stylish Staging did for my client was very impressive. Stylish Staging is very professional in their presentation of the information. The detailed report of which rooms and what color to be used was very helpful and easy to understand. 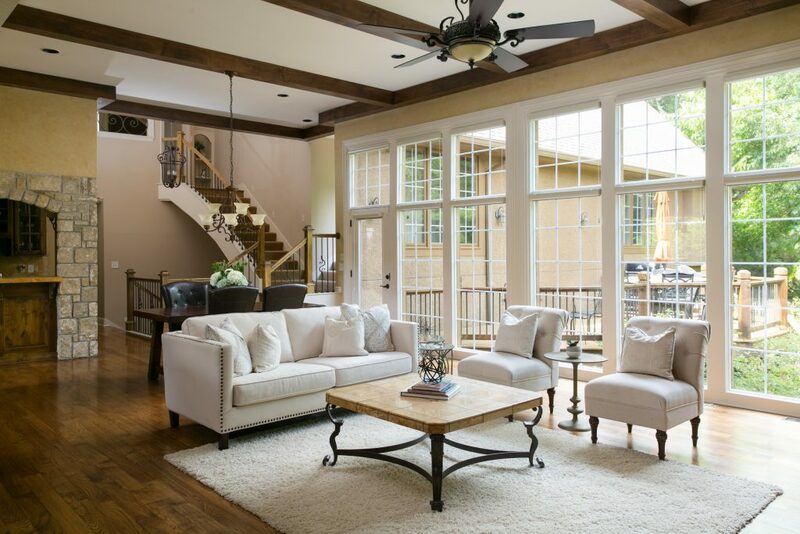 I highly recommend using Stylish Staging." - Judy B. You did a fantastic job staging the house. It looked very elegant and 'stylish.' Thank you so much. -Testimonial from Leasa H.